In the south-east of France, located between the Ecrins mountains and Italy, the Serre Chevalier Sensation team welcomes you in an ideal setting for rafting. Try the adventure, dive in the heart of nature and enjoy the rapids more or less tumultuous rafting of the Guisane or the Durance. You will discover the wild and still preserved landscapes of the Hith-Alps as well as the clear and limpid waters of Briançon and its region. The geographical situation of Briançon and Serre Chevalier is ideal, sunny for more than 300 days a year. You are almost guaranteed to enjoy a nice rafting day with friends or family. The best rafting trips are around Briançon. This is why rafting is a major activity in the Hautes-Alpes region. Rafting is a complete sport, practiced in an inflatable boat called raft. The raft is an inflatable boat specially designed for rafting, it is unsinkable and very stable. Rafting in Haute-Alpes with Serre Chevalier Sensation: Ideal for discovering white water activities, rafting is a real team sport. You will board up to 8 people + the guide on solid inflatable boats, equipped with a complete equipment perfectly suited to the weather (wetsuit and neoprene jacket, neoprene booties, vest, helmet and paddle). Led by qualified professional guides with perfect knowledge of the natural environment, these stable and unsinkable boats will take you across the river rapids of the Serre Chevalier valley, from 6 years old with family, friends, alone or in groups. Rafting as a commercial sporting activity was born on the Colorado River in the United States in the 1950s. Tours were offered to tourists and the practice of this activity has continued to expand since. We can now go rafting on all continents. It was not until the 80s and Aquadesign brand that rafting is democratized in France. It is now possible to practice rafting on all French rivers. A free ride, an adventure without big risks to explore the world of rivers. How Is The Rafting With Serre Chevalier Sensation Outing? For all rafting activities that we offer we are calling on a trusted supplier with whom we have been working in partnership for several years. It is therefore with a qualified instructor and specialized in rafting as a team that you will practice this activity. The reservation: The reservation is obligatory for rafting activities and will be done by telephone. The meeting point is at the SportRent store. RD1091 The Val St Bernard 05330 Saint-Chaffrey (Chantemerle). You only need to go to this address at the time indicated in the booking confirmation. Your instructor will help you choose the equipment that best suits your body type. You will be equipped with a full neoprene wetsuit, neoprene socks, a helmet and a lifejacket. Once the equipment is put in the locker room, you just have to get on the bus that will take you to the start of the chosen rafting descent. So that you can fully enjoy the thrills of our rafting activities, your instructor will teach you the basic techniques to handle a paddle, what is the raft or how to navigate a raft team. It’s time to embark on the adventure. You will sail and enjoy an incredible rafting trip through the beautiful landscapes of Briançon and its region.  This is an opportunity to discover wild places in the valley of Serre Chevalier that will not fail to surprise you. The sensations will be guaranteed with fast passages, sometimes hectic, all safely and in good mood. After such sensations nothing like a little refreshment and a little snack offered by your monitor, just to finish in style. The shuttle bus will be waiting to take you back to the SportRent store where your vehicle will be parked. Once arrived at the store, your monitor will recover the equipment. You can take a shower and get dressed in the cloakroom at your disposal. You will leave home memories and sensations full head. Discover the river “La Guisane” during your rafting descent: A tributary of the Durance, La Guisane is a river that has its source at the Lautaret pass. With a length of 27.7 km, La Guisane is fed by the waters coming from the glacier of Casset and Monêtier. It is during the months of May to August that La Guisane offers the largest flow, as well as it is the ideal time to practice rafting in Hautes-Alpes. The turquoise and clear waters of this river associated with the wild and preserved nature of Briançon’s surroundings will ensure a change of scenery. From equipment todesequippingand descent, the shuttle driver will perform a series of shots. A photo report of all of your rafting out at Serre Chevalier for only € 18 / group.